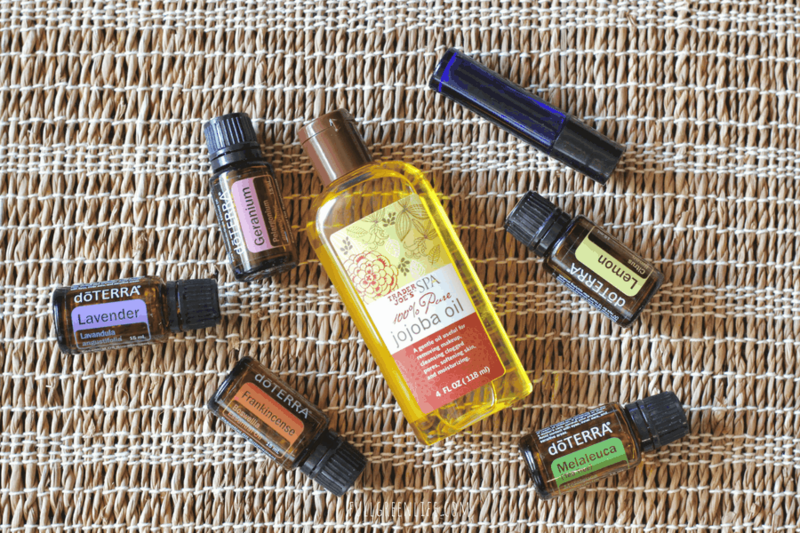 DōTERRA essential oils have become a part of many of my everyday routines. One of my favorite topical EO uses is this essential oil face serum. I’ve been using it every night for over a year, and if I happen to forget it on a night, I miss the glowy look it gives my skin the next morning when I wake up. As someone who has always struggled with acne, even as an adult, I understand that you may hesitate to put oil on your face. While I am not a dermatologist, I can attest to the fact that I have not had any difficulty with this serum causing breakouts. In fact, after having gone through a dry winter using it, my breakouts were few and far between compared to normal. I think this is because I didn’t need to use any thick creams for dry winter skin like I typically would have. This nightly dose of moisture kept my skin hydrated throughout the season! Frankincense Essential Oil is known for supporting skin regeneration and health, which in turn can help with scar healing and reducing fine lines in the skin. Melaleuca Essential Oil a.k.a. Tea Tree Oil is commonly used for purifying and germ-destroying, supporting skin healing from acne or dry, irritated skin. Lemon Essential Oil has astringent, antioxidant, and detoxifying qualities. Lemon oil causes photosensitivity for 12 hours after applying, so including it in this recipe makes this a bedtime only face serum. Geranium Essential Oil has been used for beautifying purposes since ancient Egyptian times. Talk about a track record! It is often used to promote clear, glowing skin since it helps balance the natural oils in the skin. It also supports skin healing and regeneration. Lavender Essential Oil is a go-to oil for skin soothing and healing properties. Jojoba Oil is what I prefer as my carrier oil to help the essential oils penetrate and absorb. You could swap this for a different carrier oil if you want, such as rosehip seed oil or avocado oil. I like jojoba oil because it is light, it absorbs easily, is highly moisturizing, and is very low on the comedogenic scale. This means it won’t clog your pores, which is important if you have a tendency to breakout like I do. I recommend using only high-quality essential oils like dōTERRA, especially for topical, internal, or aromatic applications. Cheap versions may have added (unwanted) ingredients and lack the quality control standards. I would personally not risk it. In a 10 ml tinted glass rollerball, combine the following. *You should only use this oil blend at bedtime. The lemon essential oil will cause photosensitivity if applied during the day. Apply this oil at night after you’ve washed your face. Dot the oil on with your rollerball, focusing on the eye area, around mouth, and forehead. Then, lightly massage the oil into your skin until it’s completely absorbed. 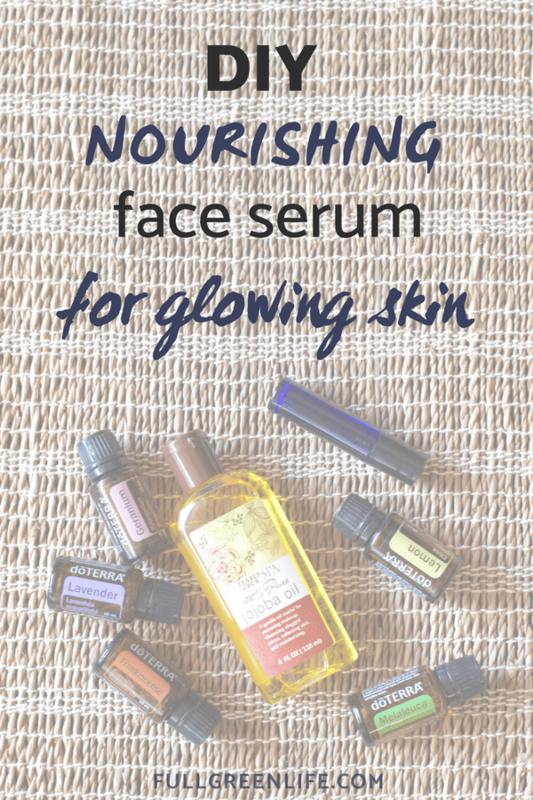 Try out this nighttime face serum DIY and reap the benefits of a healthy and radiant morning glow…naturally.